Seldom am I compelled to write a post like this. I am running a new project in Cagayan. It is a preschool wellness project, based mainly within barangay (village) daycare centers. The project aims to monitor for developmental delays among children ages 3,4, and 5 enrolled at the centers. It includes a feeding program, sports program, etc. and also includes an annual well child exam by physicians to screen for illnesses. It is called the Garden Herbs Project. Right now I am raising funds by selling rice products from the Cordilleras imported into the US. These rice varieties are grown in the Banaue rice terraces. www.heirloomrice.com. The project earns from the sale of these rice products. The project is straightforward: buy 1 pack of rice and you get to feed five children a day. Please visit the Garden Herb Project website here. With just a few clicks, my order was completed. There is a special feeling once the box came in the mail. First, the different rice varieties are heirloom rice from the famed Banaue Rice Terraces; second, I know deep down my small gesture could bring smiles and joy to 5 children. As I swirled my hand around the rice while washing it, I felt a connection with the farmers and to the children. I want to get involved in this project. That said, I will be developing a series of recipes using the different varieties of heirloom rice. So for today's recipe I used the Ifugao Diket (medium grain sticky rice) variety. Please click here to read its description. Wash the rice 2X-3X with water. Remove small pebbles if present. Cook the sweet rice by filling up a stockpot with the rice, 1/2 a can of coconut milk and 2.5 cusps of water. Cook for about 20 minutes or until the rice is fully cooked. Set aside. While the rice is cooking, let's make the coconut crumbs or latik. Latik is the residue formed by the reduction of coconut milk. Just pour the whole can of coconut milk in a thick saucepan. Bring it to boil (on medium heat) and continue to stir until most of the liquid has evaporated. The milk will begin to change its color to slight brown and begin to solidify. At this point add the brown sugar. Continue to stir until the sugar caramelizes. Once it has caramelized, stir in the cooked sweet rice (mix well). Let it cool. Refrigerate for an hour. Form into 1 inch balls. Place chocolate pieces in a large bowl on a baine marie (hot water bath). Stir continously. Add butter and stir again. Remove from heat. Adjust according to your preferred thickness. 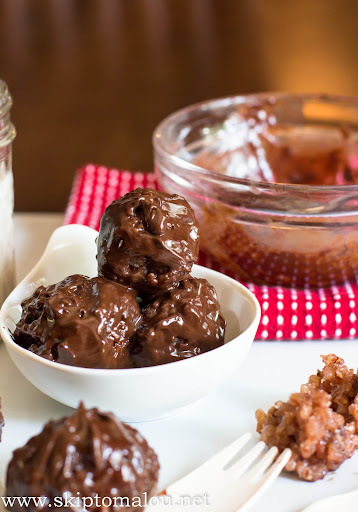 Using two spoons, roll the balls into the ganache. It will be a sticky situation (pun intended) - gooey and decadent... Enjoy! Notes: Make sure that the rice balls are firm. They will not roll well into the ganache if it's soft. In making the ganache, you could also use the microwave. Microwave the chocolate chips for 20 seconds. Stir then put it back to the microwave again for 20 minutes. Stir in the butter. Voila, you have a wonderful ganache. 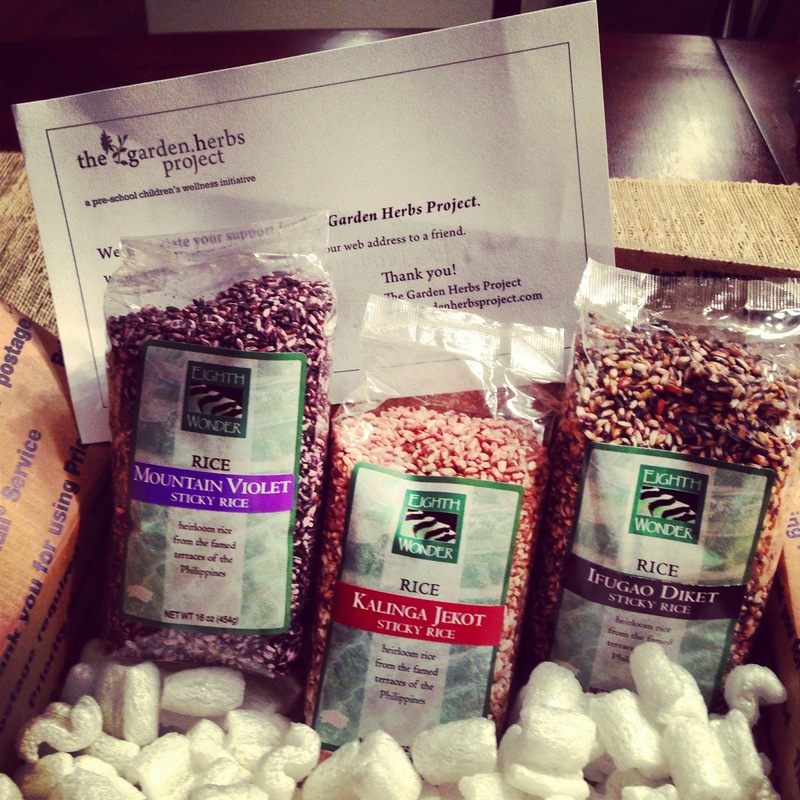 First, I love that you gave me a chance to participate in the Garden Herb Project! But, the bonus your recipe - never would have combined chocolate and rice - this is so going to be in my kitchen tomorrow - thank you! You are so creative - just wonderful! thank you for the kind words. I am truly inspired by the noble goals of this project. I truly hope that you give it a try. Wow! What A great project! Will support it for sure Malou! Thanks for the heads-up and the recipe! I can't wait to try it out in my new kitchen, hopefully we'll be done by next week! Thank for vouching your support Vel. I'll count on you. I can't wait to see your new kitchen. I hope to cook there sometime soon. What a great project - so great to be able to help in such a positive way. 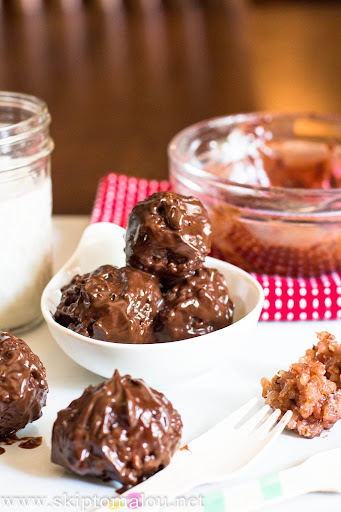 The chocolate sticky rice looks amazing! Great cause! Thanks for alerting us. And a great recipe - this looks wonderful. Really good stuff - thanks. Can't wait to see how this would taste. Nice recipe.